Property Info: 2 BR, 2 BA Unity with approx. 1000 sq. ft. 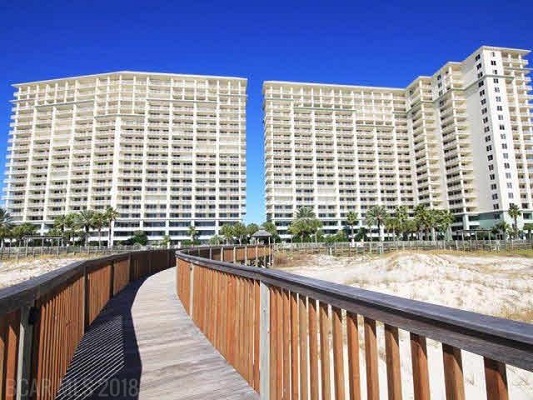 The Beach Club condominium home for sale in Gulf Shores. Beach Club Catalina 807 has a "Direct Gulf View" from the living area & master bedroom, a 24 ft balcony with resin furnishings, beautiful large coastal wall decor & art, 18" diagonal tile floor throughout, matching granite in kitchen & bathrooms, all upgraded appliances, including washer/dryer & a new totally new HVAC system with Coastal Green Air controls. Sofa sleeper, recliner & both mattresses replaced in 2017. A sparkling pool with a hot tub is at the foot of the tower near the boardwalk to an "endless" sugar white sand beach. This upscale resort offers: Indoor pool, fitness center & fine dining restaurant/bar with a Gulf View, salon & spa, game room, Rubicon tennis courts, game room plus much more!